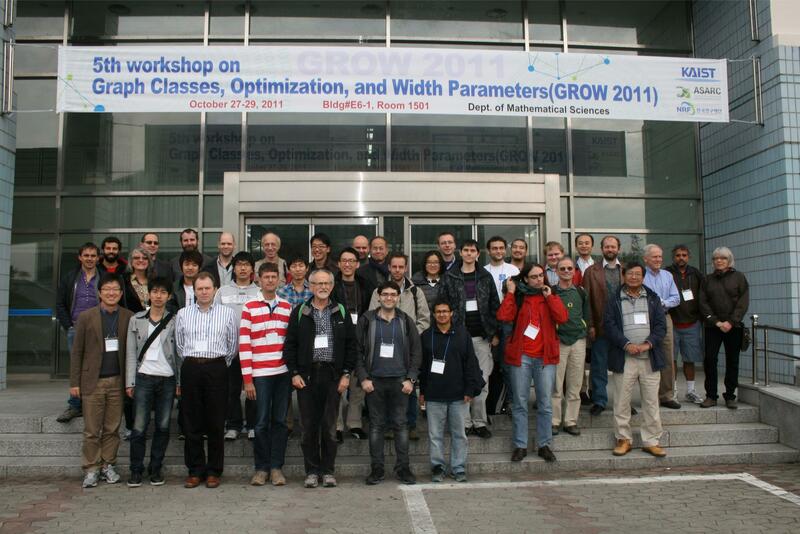 Welcome to the website of GROW 2011, the 5th workshop on Graph Classes, Optimization, and Width Parameters, to be held in KAIST, Daejeon, South Korea during October 27-29, 2011. Bergen (Norway) in October 15-17, 2009. Following previous GROW workshops, a special issue of Discrete Applied Mathematics is likely will be dedicated to papers related to GROW 2011. This workshop is invitation-only, but please feel free to ask Sang-il Oum if you want to come and give a talk. All conference participants will be provided a free accommodation for four nights starting from Oct. 26, supported by the organizer.